The El Paso Agenda is a podcast dedicated to local music, local food, local hangouts, and anything else "local" you can think of! Join your hosts Steve Madrid& Natalie Lopez as they rediscover the city they call home. We've got an agenda El Paso and you're on it! 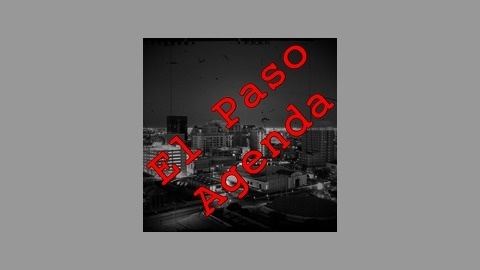 Welcome to episode five of the El Paso Agenda! In this episode I talk about people who people frighten children, Christmas (Yes, I said it!) and anything else there is to do in El Paso! We also talk about events for the upcoming weekend (October 31-November 1)! Enjoy the show! One more thing . . . BOO! The El Paso Agenda is a podcast dedicated to uncovering local music, local food, local hangouts, and anything else "local" you can think of! Join me, Steve Madrid, & my cohost Natalie Lopez as we rediscover El Paso, the city we call home. We've got an agenda El Paso and you're on it! 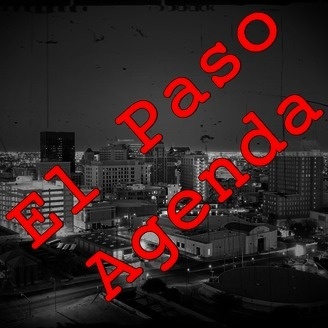 Follow El Paso Agenda on Twitter! Follow Steve Madrid on Twitter! Follow Natalie Lopez on Twitter! Email us with comments, questions, and/or story ideas!